Are you overwhelmed with the great deal of information from companies and unsure of what system to purchase? 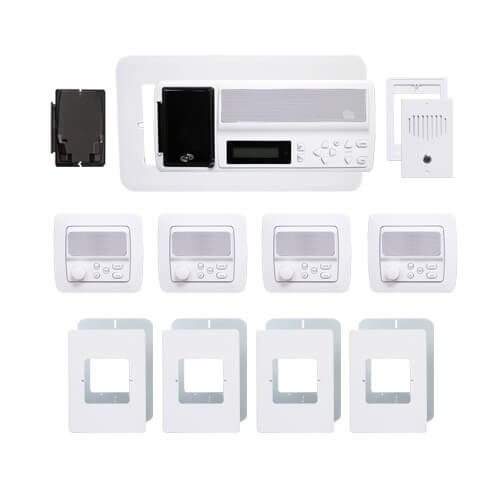 In this article we will discuss the benefits of replacing your existing system with a Intrasonic RETRO Music Distribution and Intercom System. The average intercom system has a life span of about 20 years, if not sooner, and wears out. Due to the systems age, manufacturers like NuTone and M&S do not have replacement parts available. While researching new systems, homeowners have become hesitant to replace their older systems because they assume the wiring will need to be replaced and the drywall patched throughout the home. With the RETRO system, Intrasonic has taken these concerns in to account to help you build a cost effective system that is right for you and your budget. 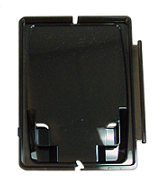 One feature of the RETRO is the retrofit trim plates which allow the smaller Intrasonic devices to be installed without having to patch the drywall throughout the home after installation. Another plus for the RETRO system is the Automatic Selective Call option. 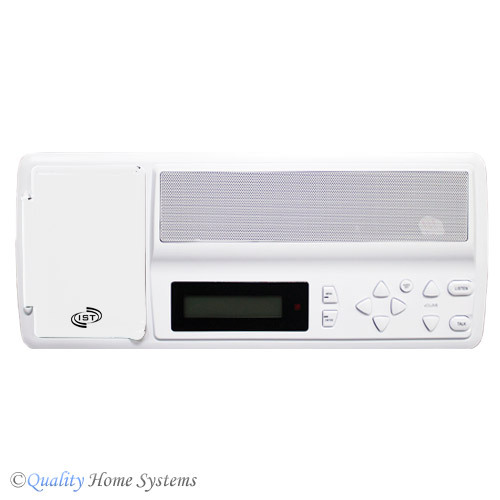 This enables the individual to receive the call in any room. Communication is heard only at the initial call station and the responding station once the call is answered. This helps keep calls private and will not disturb others throughout the home. From an installation standpoint the RETRO systems are quick and easy to install because they use the existing rough-ins and wiring from your older system. In regards to music features one of the upgrades that most homeowners are excited about is the Portable Music Player (PMP) bay. With this, music can be streamed from your iPod or MP3 player. The RETRO also has Bluetooth capabilities for streaming music from your smart phone. You have the ability to play 2 music sources in every room, along with a USB port that is built in to the master station to charge your device while using it. Since Intrasonic’s principal products are intercom systems, they place a great deal of focus on customer service and quality. Products are rarely out of stock. Here at Quality Home Systems we also pride ourselves in excellent customer service. Our friendly experts can be reached over the phone and will help answer your questions and troubleshoot any problems you may have. We work closely with Intrasonic to give the customer top of the line support. If you would like more information or have questions, please contact our friendly experts. We have a majority of the intercom systems manuals available online for you to download. Without knowing a specific model# we cannot give a direct link. Below are a few of the systems that best fit your description. Listed under the documents tab you will find the manuals. If you have any questions or need assistance please give us a call at 1-800-533-3249. I'm looking to retrofit my old Nutone intercom in my house. It is are music intercom 3003 series. can you tell me what is compatible with this one?